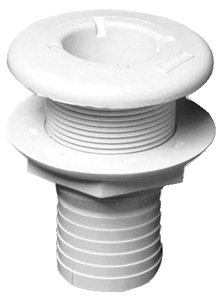 Thru-Hull ConnectorMade from high strength glass-reinforced Marelon. Ideal for use above or below the waterline. Must be installed with proper bedding compound. Recommend a maximum torque setting of 20 lb/ft.